These were too yummy to stay on our shelves for very long! New stock is expected in 6-8 weeks. Einkorn is one of the oldest grain known to have been used by humans. Originated in the Middle East it is an ancient form of wheat. 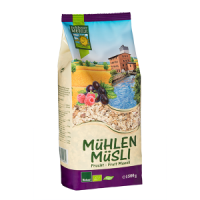 It has a higher content of protein but less gluten than wheat. 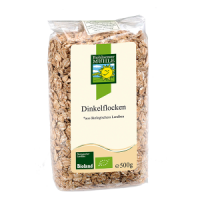 Due to a high level of carotene and carotenoid components Einkorn has a yellowish colour. 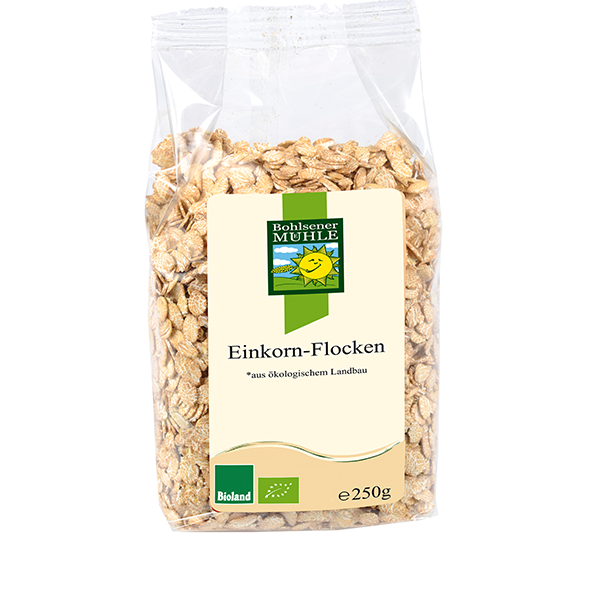 Einkorn flakes can be used just like rolled oats: either in a cooked breakfast such as porridge; briefly soaked in milk, water or juice or mixed with other flakes or breakfast cereals. You can also add them when baking cakes or biscuits. Contains gluten. Suitable for vegatarians and vegans. 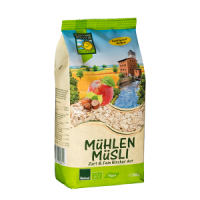 Please note: This product is originally intended for sale into the German market and so the labelling on the product package is in German only. ALLERGY ADVICE: for the EU 14 major food allergens, including cereals containing gluten, see ingredients in CAPITAL LETTERS (if any). Made some biscuits with these einkorn flakes. Very pleased with them.